The Chinese New Year is also known as the Spring Festival. This ancient celebration marks the end of the Winter season and the beginning of Spring. This year it falls on February 5th, 2019 and it is the year of the pig. Everything is new and coming back to life, making the start of a prosperous beginning. There are many traditions held with Chinese New Year and decorating the house is one of them. I love heading to our local Chinese supermarket as all their decorations are up and it looks fab! 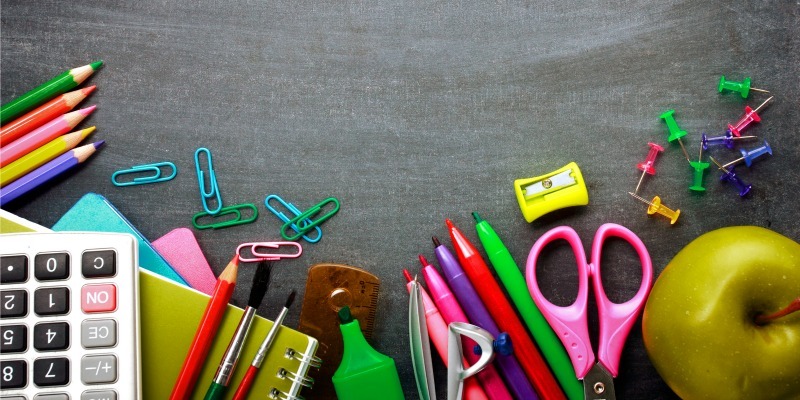 Here are a few ideas from some lovely bloggers if you fancy trying your hand at some arts and crafts. 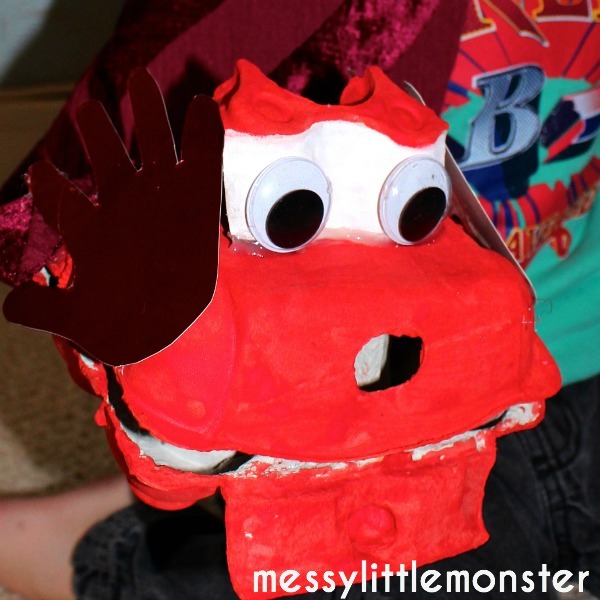 Louise from Messy Little Monster has a fab egg box dragon puppet. It is a really simple task for kids to do and always good to do a bit of junk modelling and upcycling. 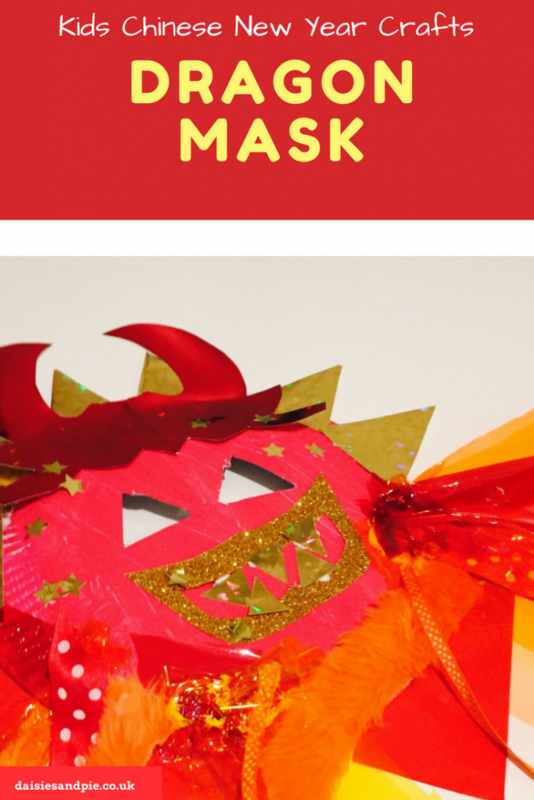 This Chinese dragon mask by Wendy at Daisies and Pie looks like loads of fun to make. The kids could really go to town on this especially with the tissue paper fire! 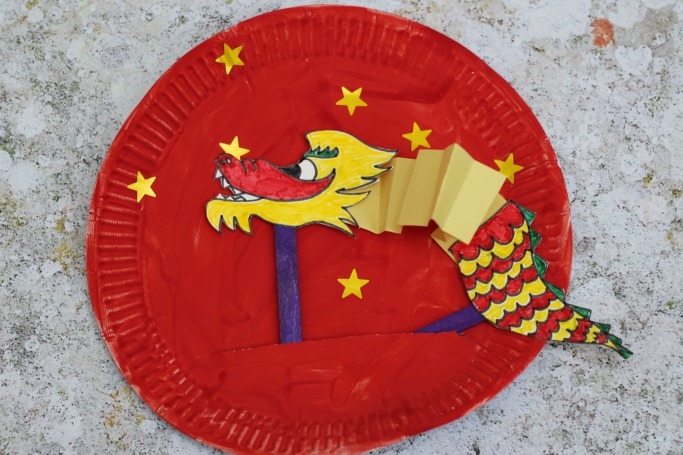 Another one also using paper plates is this cool movable Chinese dragon paper plate made by Kate at Crafts on Sea. This does involve a bit of concertina style folding and sticking but the end result looks great. 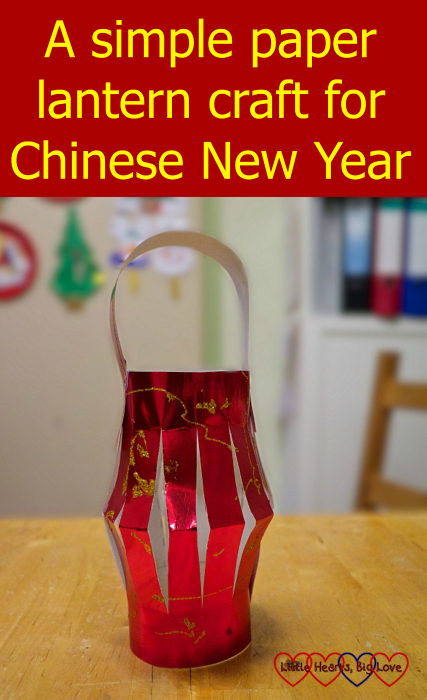 The lovely Nita from Mummy Wishes has put together 3 DIY Fai Chun ideas for Chinese New Year. These can be downloaded as printables. Fai Chun’s or Spring Couplets are red pieces of rectangular piece paper with auspicious phrases written on them usually in red or black ink and can range from two to four words. Red has always represented good luck in Chinese culture and according to legend, is suppose to scare away the monster (Nian) who visits on New Years Eve. Therefore, Fai Chun’s are usually stuck on doors and around the house. Jenny from The Gingerbread House has made beautiful Chinese lantern sun catchers. These look really effective using cellophane squares and contact paper. 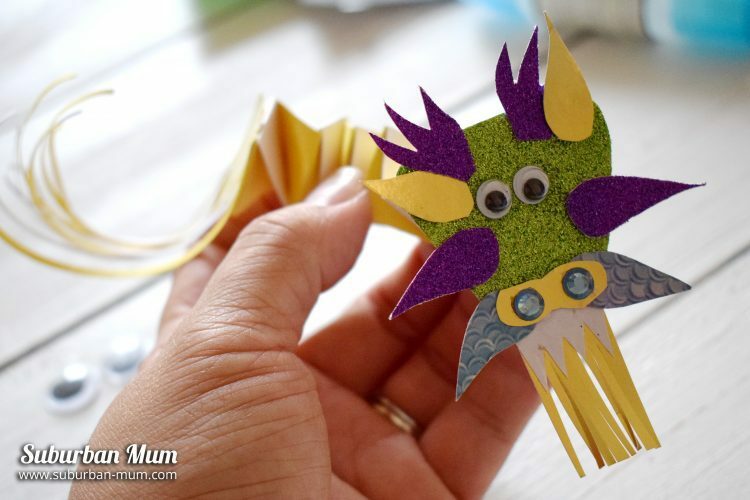 Make a cute looking Chinese dragon with Maria from Suburban Mum. Maria has used card, glue, googly eyes and lots of sparkle to create her dragon. Jane from Hodge Podge Days has made an easy Chinese drum. Chinese drums are small drums with two pellets or beads on the sides. You twist the long stick and the beads swing forward and back, rhythmically tapping the drum. They’re quite easy to play once you’ve got the hang of it and they’re really run instruments for kids to play too. 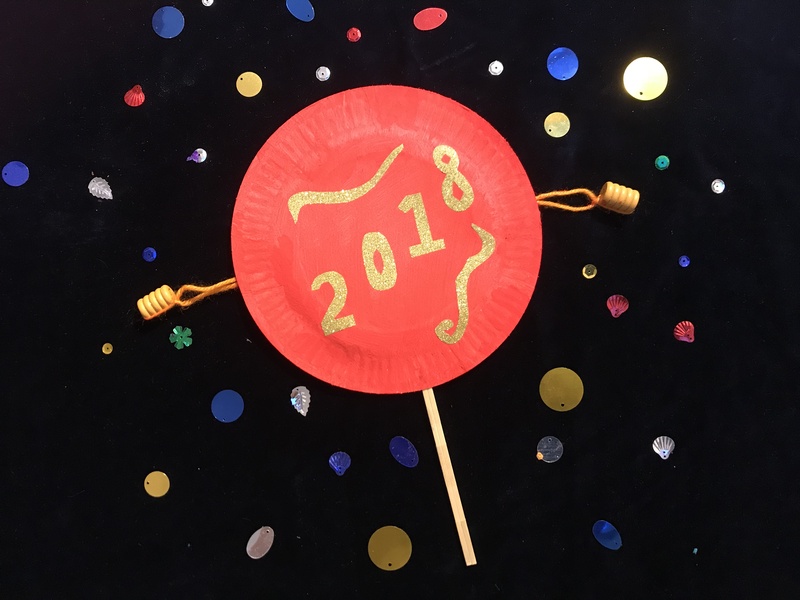 I used to love making these at school – Louise from Little Hearts Big Love has made a simple paper lantern. The Lantern Festival is held on the final day of the Chinese New Year celebrations. The red lanterns symbolise good luck and the letting go of the owner’s past selves. 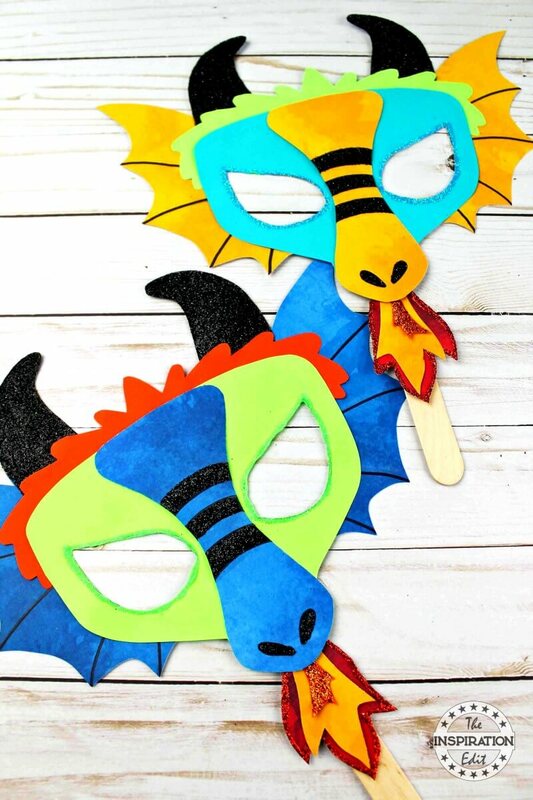 Lastly, Angela from The Inspiration Edit has shown us how to make some lovely dragon masks. She has even made some templates to print out – a brilliant craft for pre-schoolers. Sarah is mum to three children and a plethora of animals (mostly cats) and lives in Surrey. You’ll often find her family exploring the great outdoors, foraging in the woods, camping and visiting festivals. Sarah also loves to upcycle things and will happily turn an old pallet into a rustic shabby chic sign. 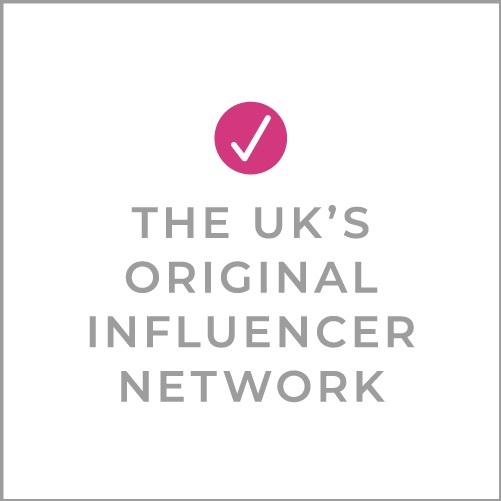 She studied Art and Design at college and when she’s not blogging at Kippers and Curtains she also likes to make bohemian style dreamcatchers. This mum is also never far from her camera – much to the annoyance of her children. Next Post Reviews: New Year. New You!